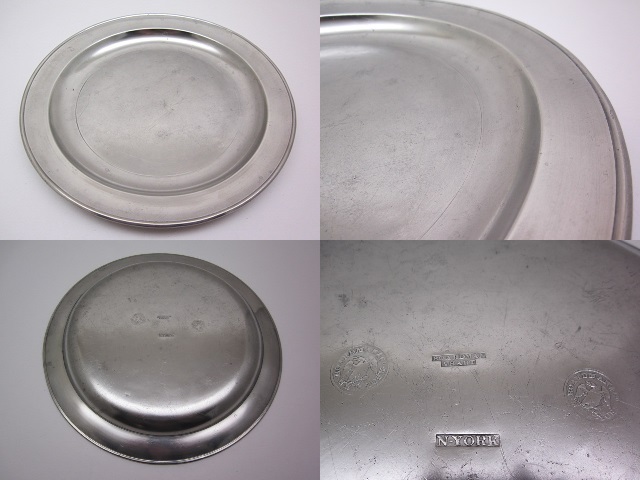 This 10 7/8" single reed dish with a narrow rim is marked "Boardman & Hart," "N+York." It is also struck twice with "Boardman and Co. New York" Eagle touchmarks. The Boardman companies operated in New York City from 1825 to 1853. Dishes of this form often served as church patens. This dish is in very good condition with excellent marks.